The creative process is a wonderful healing tool. It helps us connect to ourselves on a deeper level by being in the present moment and practicing self-expression. Self-expression is an integral part of a healthy body, mind and spirit. 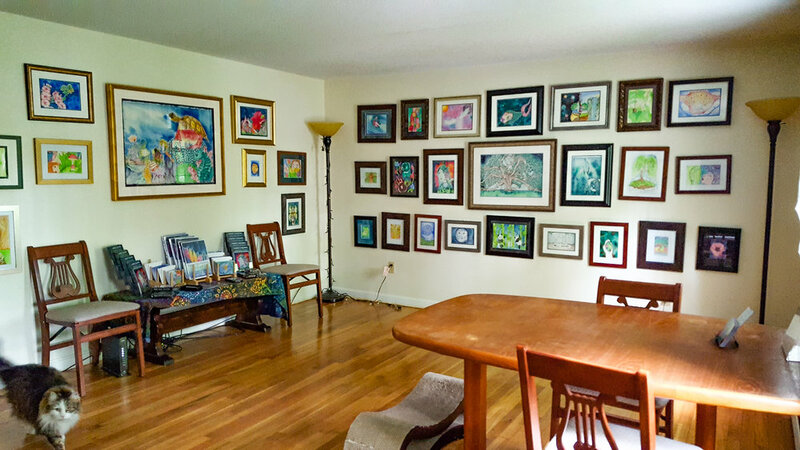 Artistic mediums such as painting allow for that expression in a very beautiful way. 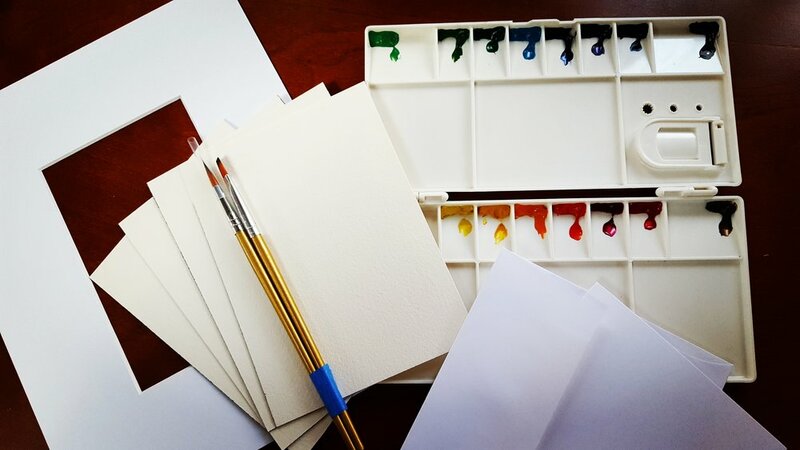 Join us on June 23, 2018 10am - 1pm for a small group Creative Expression with Watercolors class. Explore your inner creative, tap into your higher-self, and complete a project to take home. We will start with a meditation for creativity to allow ourselves to open up and let go of any fear we hold around creative expression. After our meditation we will continue with instructions for simple watercolor techniques as we get to know our materials and how to use them. We will spend some time playing and practicing the techniques we have learned before we start on our take home projects. Throughout our time together we will have intermittent breaks for conversations, snacks and to allow the paint to dry (a very important technique in Watercolor Painting.) This three hour class is a beautiful way to practice self care and let go of the stresses of life for a bit. 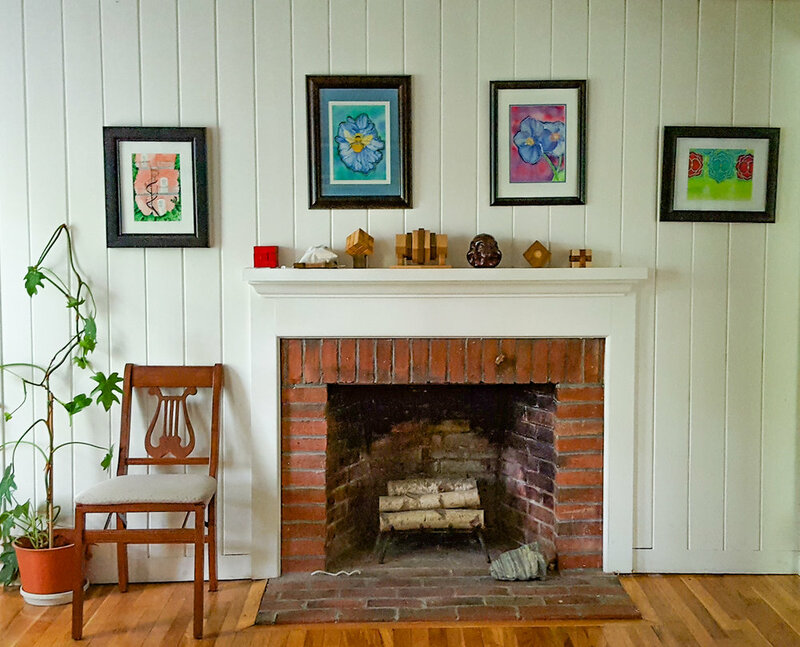 Watercolor Painting, mounted to white matt board and framed in a black frame. Watercolor Notecard mounted to a note card complete with envelope and protective plastic sleeve. Plus the following materials you keep and use again for future projects! Join us on DATE TBA for a small group Magic Galaxy with Watercolors class. Use the skills you learned in the introductory class to create your own Magic Galaxy Painting! We will start with a meditation for creativity to allow ourselves to open up and let go of any fear we hold around creative expression. After our meditation we will have a brief review of what we learned in the introductory class and then start making magic! Galaxy Watercolor Painting, mounted to white matt board and framed in a black frame. Galaxy Watercolor Notecard mounted to a note card complete with envelope and protective plastic sleeve.